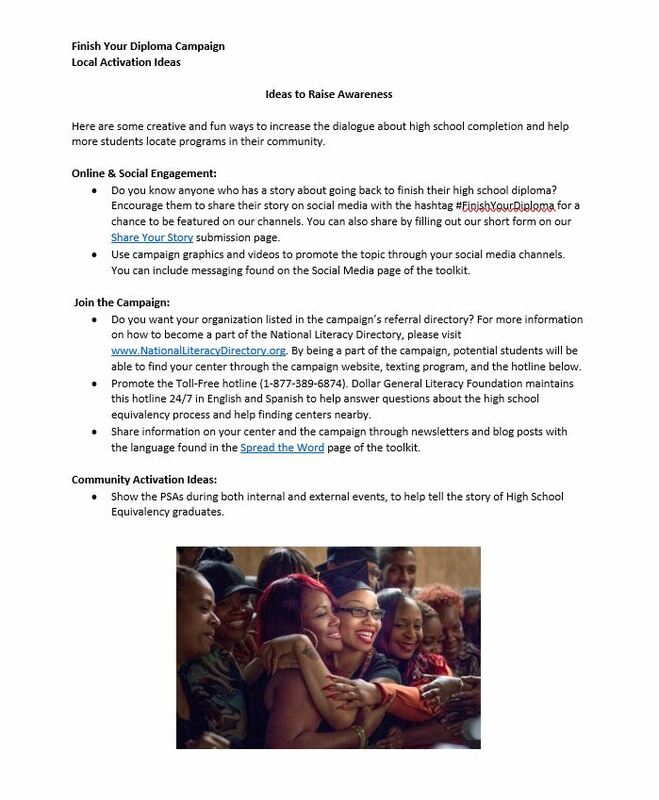 Spread the word through your channels and your networks, using these campaign materials. 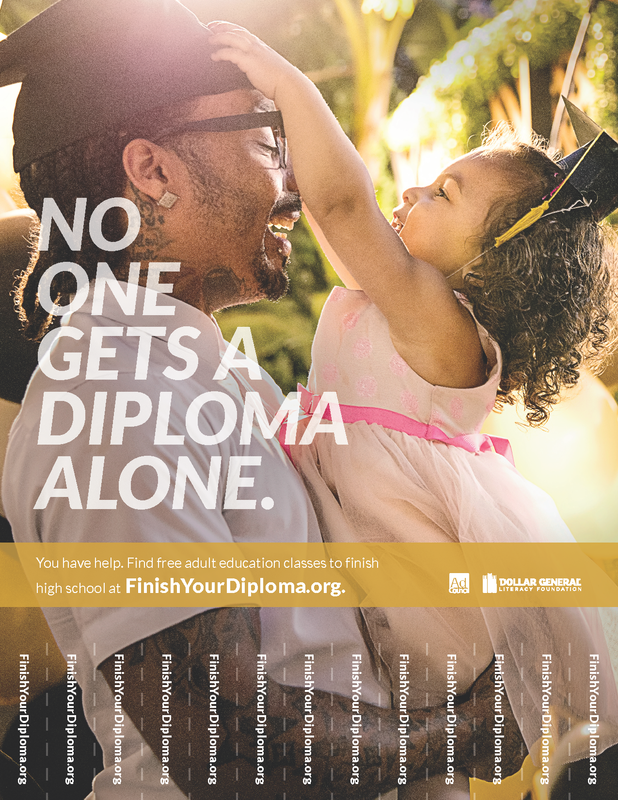 Print this 8.5x11" Finish Your Diploma poster for use at events, education centers, workshops, or any other local activations. 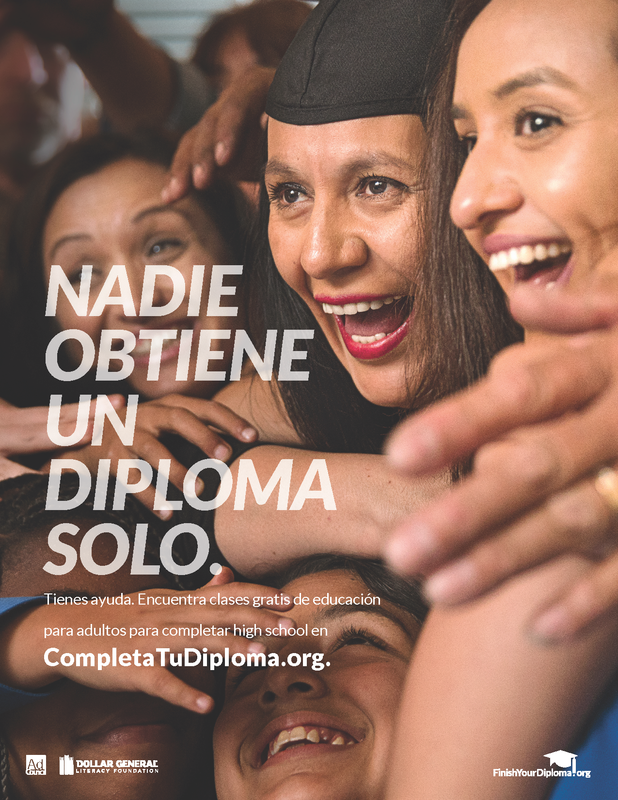 The poster is available in Spanish and cannot be customized. 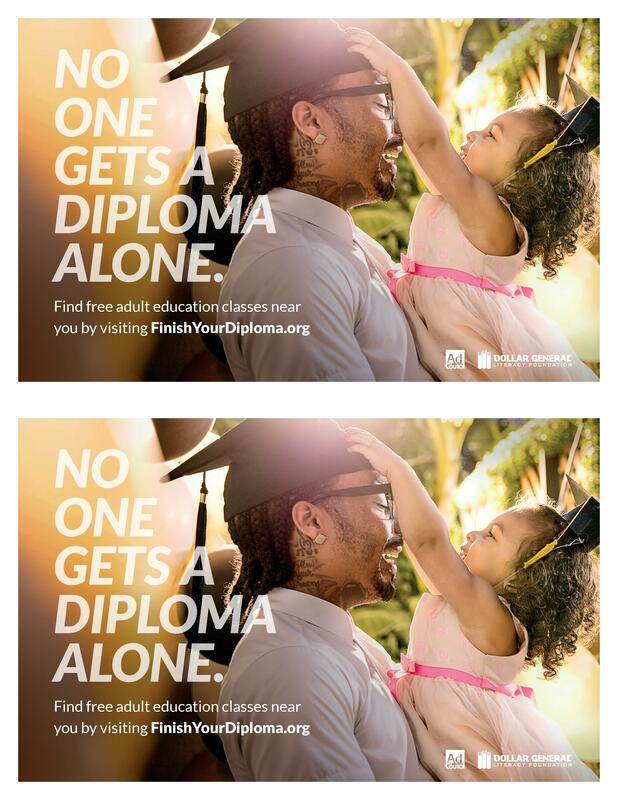 Print this 8.5x11" Finish Your Diploma poster for use at events, education centers, workshops, or any other local activations. The poster is available in English and cannot be customized. Print this half-page postcard for use at events, education centers, workshops, or any other local activations. 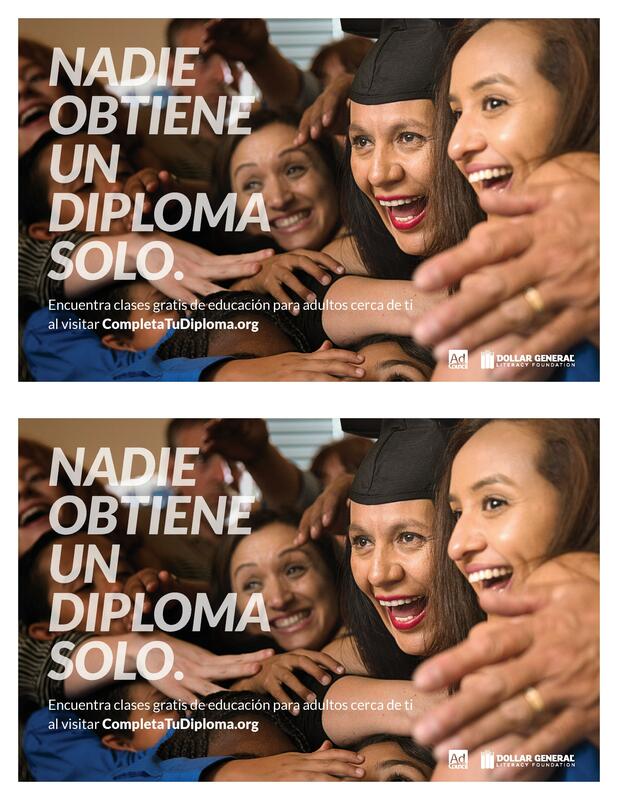 The postcards are available in Spanish and cannot be customized. Print this half-page postcard for use at events, education centers, workshops, or any other local activations. The postcards are available in English and cannot be customized. 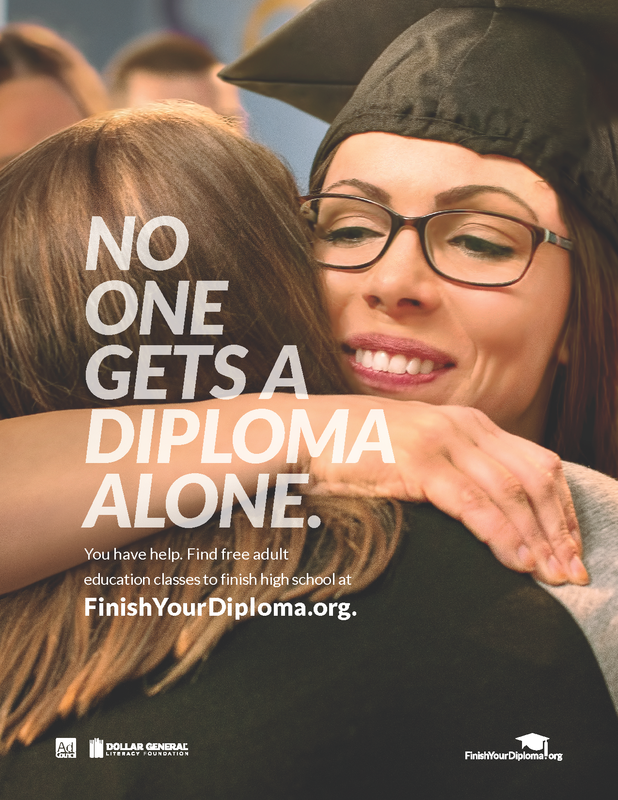 Language provided to promote the Finish Your Diploma campaign through blog posts, organizational newsletters, and other opportunities. 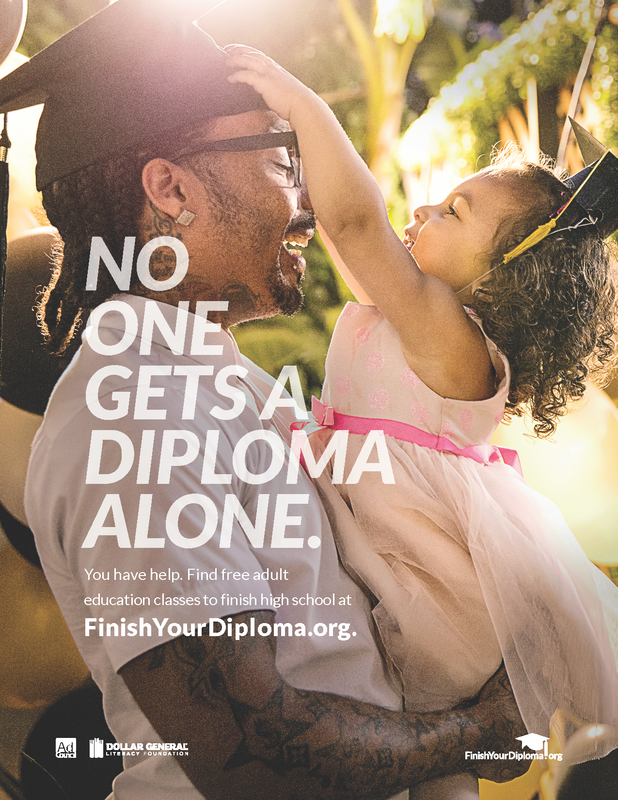 Explore different ways you can support the campaign by encouraging adults in your community to earn their high school equivalency.